We are loving this spring weather! Yes, we’ve seen some unexpected chilly days. But, for the most part, we’ve been spending a ton of time outside. Our new covered patio leads us to many hours of reading, exploring, and writing on these beautiful days. And I’m so excited to share this activity that we just worked on this week! Yep..those two words. Phonemic. Awareness. Can we really remember the difference between Phonemic and Phonological? I do! (after I read the definitions!). So, what’s the importance of Phonemic Awareness? According to ASCD.org, “Phonemic awareness is this ability to take words apart, to put them back together again, and to change them to something else. It is a foundational skill around which the rest of the threads of reading are woven.”. In other words, it’s the foundation of reading. That’s why teaching your new readers how to break words apart is so important. This activity is something I pull out consistently when I work with new readers. 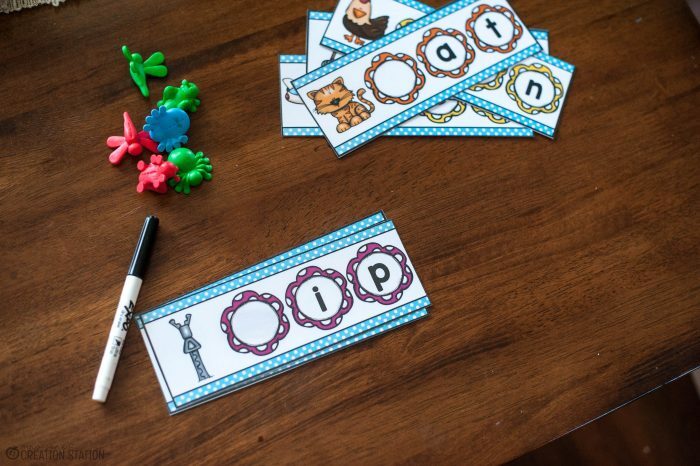 It’s a great, easy to prep activity that focuses on phonemic awareness, mainly initial sounds. 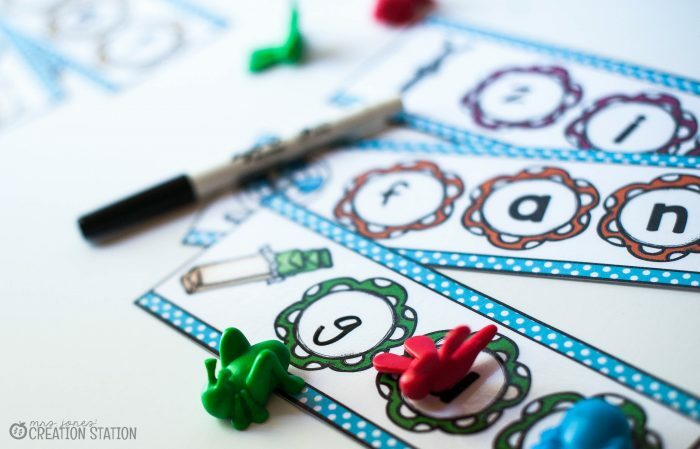 This activity will eventually lead to the practice of medial and final sounds in words. It just takes practice! But can this activity be used for different levels of learners? Absolutely! There are three ways that this activity leads to differentiated instruction. These are my favorite ways to differentiate, but I’m sure you can create your own as well! This activity is perfect for your young literacy learners. 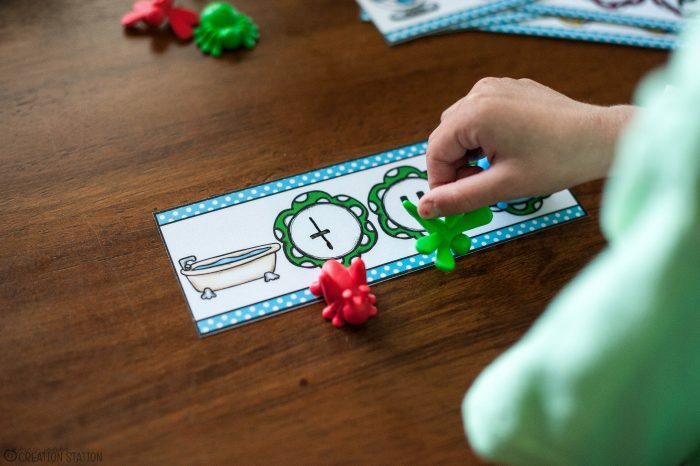 For those that are just working on letter sounds, place fun erasers or any spring-themed toy on each letter of the word. Then, have your reader pull the eraser down and then sound the letter out. There is no need to have them try to read the word, however, you can definitely say the word after they sound out all three letters. It’s all about reading and modeling! 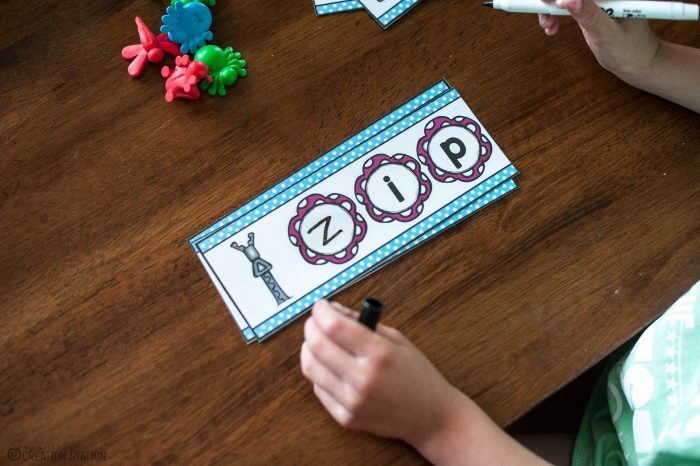 For your students who know their letter sounds well and are ready to start reading, this activity is great too! One way to use this activity for this group of learners is to have them write the initial sound of the word using the picture on each card. 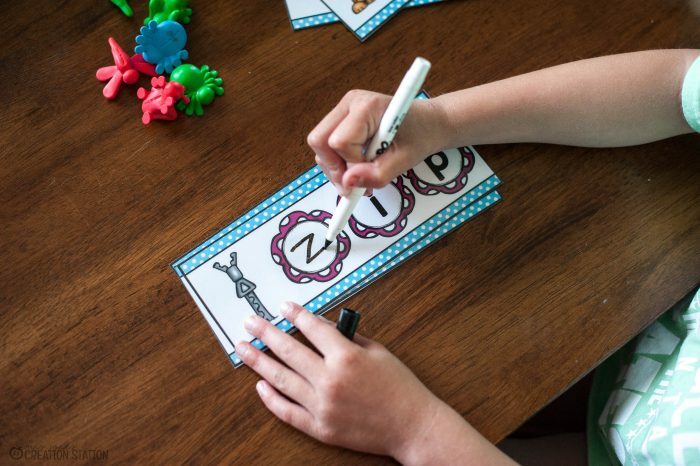 I prefer to laminate the cards and use dry erase markers or dry erase crayons (yes, there is such a thing!!) for continued use without reprinting. For our older, more advanced readers, this activity is great to work on initial, medial and final sounds. Again, laminate each card and provide dry erase markers or crayons. They can use the picture on each card to break the word apart by sounds. Use this in small group instruction for a quick assessment or put it in a literacy center to create a fun game. The possibilities are endless! Reading is a tough skill. It takes so much time and patience when working with new readers. There are a ton of ways you can use this resource. Find what works best for your readers and mix it up! To grab my Initial Sound Garden activity, click on the download link below! Looking for more freebies from my store? I love these summer incentive charts! They are perfect for maintaining structure in your home, classroom or on a trip! They are even good for working towards an award! Have some fun learning about our 4th of July holiday this summer with free summer pack! 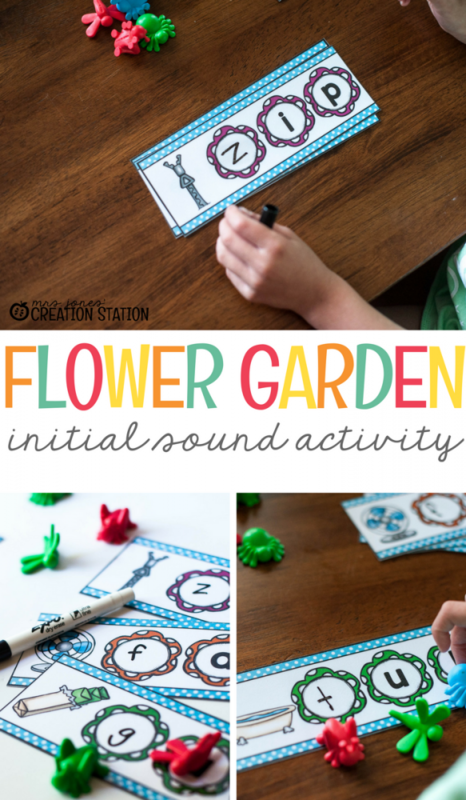 It’s full of literacy and fine motor activities that are perfect for your preschooler! Continue with your literacy instruction with this free Summer Printable pack!